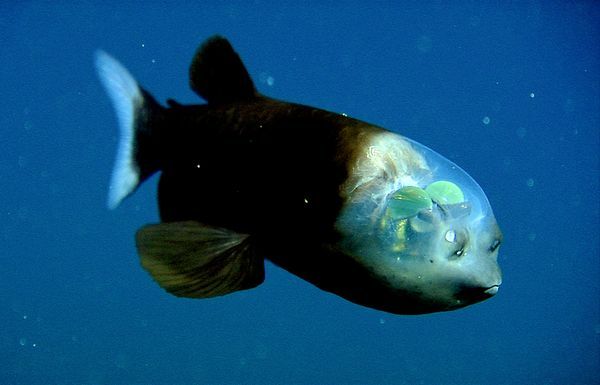 Pacific barreleye - fish with transparent head. Hey! I know this fish.